Adobe is putting all of its chips in the cloud, a move made readily apparent with a slew of announcements at its MAX 2013 conference in Los Angeles today. Perhaps the most notable change is that Photoshop (rebranded Photoshop CC, but more on that below) will be a subscription-based service, though Adobe assured us it will continue to support Photoshop CS6. Photoshop CS6 will still be available for purchase as a download and the company plans to continue providing bug fixes and security updates, but gone will be new versions and boxed software. It's all part of a major update to its Creative Cloud property, one that ultimately will do away with Creative Suite and all CS-branded properties. Come June 17, Adobe will introduce a new set of desktop applications stamped with as "CC" alongside Photoshop, including InDesign CC, Illustrator CC, Dreamweaver CC and Premiere Pro CC. In what it's calling an accelerated shift to the cloud, Adobe is revamping Creative Cloud with a boat of features, the whole CC desktop app rebrand and enhanced cross-device collaboration and publishing capabilities. With the update, customers will be able to store, sync and share files through the Cloud onto Mac OS, Windows, iOS and Android. Behance, a creative community owned by Adobe, will be integrated into Adobe's ether-based service as well. 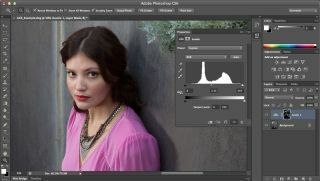 While now a pay-to-use service, Photoshop CC isn't without its enhancements, which include sync settings, Adobe Camera Raw 8 improvements and other editing features. For those that don't own a steady cam, Camera Shake Reduction may prove the most useful as it promises to deblur formerly unsalvageable images. Adobe also plans on releases feature updates regularly - "as soon as they're ready," an FAQ on the changes read - meaning customers won't have to sit with an old bit of software for 18 months - 24 months as they wait for a single mega upgrade. So what will it cost to access Photoshop CC? Adobe is throwing out a Creative Cloud single-app membership for a special introductory price (read: limited time) of US$9.99/month (UK£13.53 ex-VAT/month) with an annual commitment for those who already own Photoshop CS3, CS4, CS5 or CS6. Following that pricing is a rate of US$49.99/month (UK£38.12 ex-VAT/month) for individual Creative Cloud membership. Those who own CS3 through CS5.5 can get their first year in the Cloud at a rate of US$29.99/month (UK£22.22 ex-VAT/month. Though Adobe's hope seems to be to cut down on piracy, have a more reliable revenue stream and achieve its cloud-integration dreams in a viable manner, whether customers can saddle up to the notion of paying a monthly fee for services they once forked over a one-time payment for remains to be seen.